With over 50 calming illustrations expressing the deep truths of the Psalms, the Inspire Psalms book will help you draw closer to God. 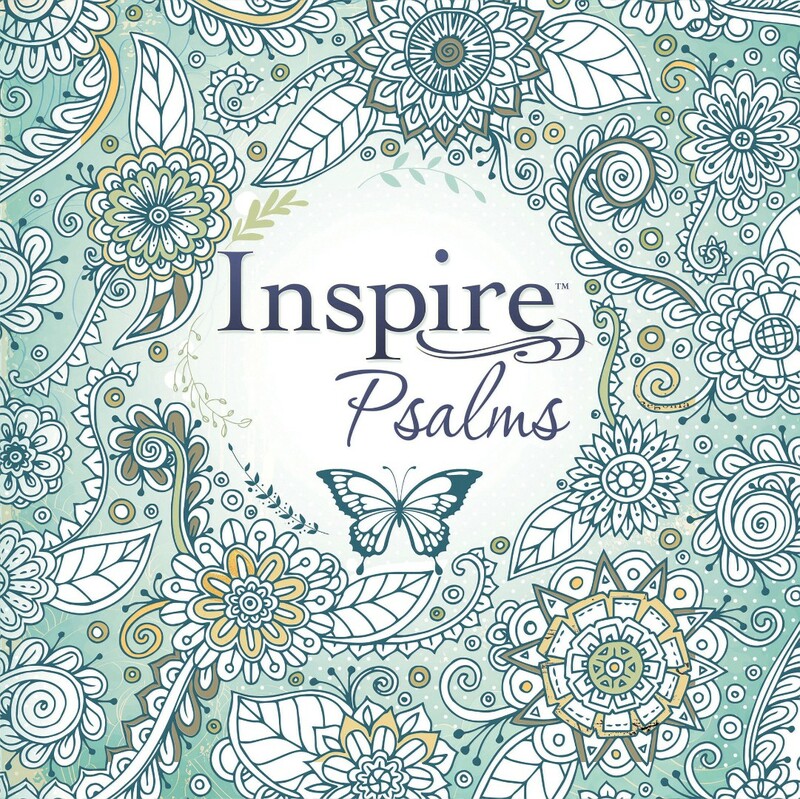 Inspire: Psalms includes all of the cherished features from the original Inspire Bible displayed beautifully in a colouring-book-style edition of the book of Psalms. This charming, square-trimmed, oversized edition of the ancient prayers and praises of Israel contains God's inspired word displayed in a new way to inspire Scripture meditation and response. 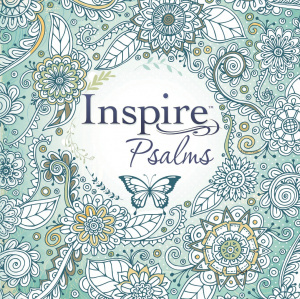 Inspire: Psalms is a single-column edition of the full book of Psalms combined with key verses displayed beautifully, including words to colour in right within the Bible text. There are over 50 Scripture line-art illustrations in the wide margins to colour and plenty of extra space for creative journaling. 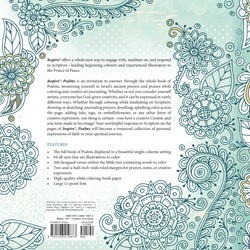 Inspire: Psalms features thicker, uncoated art paper, befitting of popular colouring books, which limits bleed-through and allows for use of even more markers, supplies, and techniques for colouring and creative journaling. Inspire: Psalms is great for people wanting to connect to the Psalms through art and extends a beautiful invitation to slow down and soak in God's Word while colouring or creative-art-journaling on the pages. Inspire: Psalms by Tyndale was published by Tyndale House Publishers, Inc. in September 2016 and is our 8415th best seller. The ISBN for Inspire: Psalms is 9781496419873. This is a lovely book of the Psalms. Spending time in God's Word through colouring and art journaling. There is plenty of space to journal and there are lovely drawings to colour. The paper is of good thick quality and the font size is large 11-point. The size of the book is nice/generous with a lovely textured cover. Very pleased with this purchase. Got a question? No problem! Just click here to ask us about Inspire: Psalms. Hi there, can you please specify what translation version is this book in? Thanks. A:The whole of the Inspire Bible range, colouring book included, uses the New Living Translation of the Bible. Thank you for using the Q&A Forum.